HackerRank for Work enables you to check for any leaked questions that might be available elsewhere on the web. What is a leaked question? When a question from the question library is checked for a 'leak', a HackerRank for Work tool performs an automated Google search to find and match the problem statement with any similar content available on the web. The tool then returns a list of websites where it found parts of the statement (with a percentage match). Any question with match percentage of 30% and above is marked 'leaked'. How do we find leaked questions? We use string matching algorithms to identify matching terms available on the web, and the matched text is then displayed in bold. The steps below illustrate how leaked questions are marked in our library and how they can be remediated. 1. 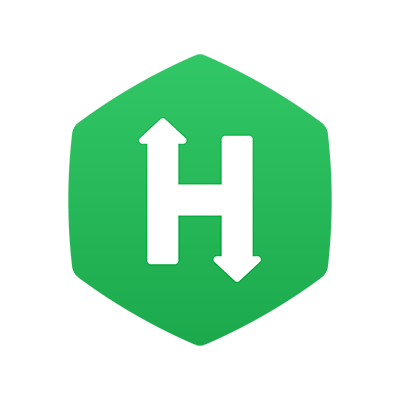 On logging into your HackerRank for Work account, Click the Library tab on the home page to view the list of questions available in the HackerRank library and your company questions. 2. A 'leaked' question will have a 'red triangle' icon displayed next to it, and clicking on the icon displays the sources on the internet where content similar to the problem statement is available. The red triangle highlights questions which are "leaked"
3. As mentioned, the tool matches similar words, and the matched text is displayed in bold when you view the sources where the question is available on the internet. 4. If you wish to hide all the leaked questions from the question library, you can simply mark a checkbox to achieve the same. 5. The same functionality is also available at a 'test' level. You can see if any question(s) present in a test are leaked, as shown below. When you see that a library question is leaked, we recommend that you do not immediately remove the leaked question - especially if/when there are tests currently in progress - but instead follow change management best practices. If you find a leaked question in the library, or at the time of test creation, we recommend you 'Hide Leaked Questions' and use unleaked questions in tests. Remove the said question from the test and swap it with a similar unleaked question, if the test is not in progress at the time of this change. If the question is in your library, you can archive it. If the test is in progress, you can use your discretion to monitor the plagiarism checker for said question more efficiently. Read about plagiarism detection here. You can also reach out to us at support@hackerrank.com for troubleshooting. If you find that a completed test had a leaked question, you can choose to disregard the question while tabulating scores from the candidate attempts. You can also consider modifying the problem statement (since that's mostly what our tool matches similar content for), such that it's not extremely generic or easily available on the internet. Note: The tool simply highlights whether or not a question is leaked, and checks for leaked content approximately once every month. The results are almost perfectly accurate, and we employ due diligence while dealing with 'leaked' content, as described above. We advise you to do the same based on the nature of the question(s).